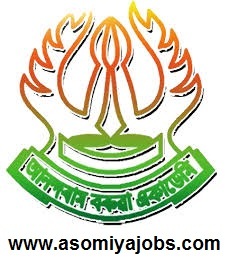 Anundoram Borooah Academy Degree College, Applications for the post of Assistant Professor in the following subjects are invited from the eligible candidates. Anundoram Borooah Academy, an educational institute at Private Sector is established at academic Village Pathsala, the nerve centre of Bajali that enjoys a unique place in the history of education, culture, art and Socio-economic development of Assam.Anundoram Borooah Academy, run by Anundoram Borooah Academic Society, an NGO which is dedicated to the quality of education and social welfare duly registered under Societies Registration Act, 1860 (No. BAR/237/1/122 of 2008) has set a high academic record and an example of excellence within a very short span of time. Salary: Salary for right candidate is not a constraint. The date and time of interview will be intimated later on. No TA & DA will be admissible.